At a panel on secrecy yesterday, Bob Litt proclaimed that the NYT “disgraced itself” for publishing names, some of which were widely known, of the people who were conducting our equally widely known secret war on drones. Sadly, Litt did not get asked the question implied by the Washington Post’s Greg Miller (who has, in the past, caught heat for not publishing some of the same names). So CIA tried to convince @MarkMazzettiNYT not to name CTC chief, but helped @NYTimesDowd do profile of CTC women with names and photos?? Did the NYT “disgrace itself” for publishing a column by Maureen Dowd that covers over some of the more unsavory female CIA officers — notably, Alfreda Bikowsky — who have nevertheless been celebrated by the Agency? I’d submit that, yes, the latter was a far more disgraceful act, regardless of the credit some of the more sane female CIA officers deserve, because it was propaganda delivered on demand, and delivered for an agency that would squawk Espionage Act had the NYT published the same details in other circumstances. Keep that in mind as you read this post from Jack Goldsmith, claiming — without offering real evidence — that this reflects a new “erosion of norms” against publishing classified information. I mean, sure, I agree the NYT decision was notable. But it’s only notable because comes after a long series of equally notable events — events upping the tension underlying the secrecy system — that Goldsmith doesn’t mention. There’s the norm — broken by some of the same people the NYT names, as well as Jose Rodriguez before them — that when you take on the most senior roles at CIA, you drop your cover. By all appearances, as CIA has engaged in more controversial and troubled programs, it has increasingly protected the architects of those programs by claiming they’re still undercover, when that cover extends only to the public, and not to other countries, even adversarial ones. That is, CIA has broken the old norm to avoid any accountability for its failures and crimes. Then there’s the broken norm — exhibited most spectacularly in the Torture Report — of classifying previously unclassified details, such as the names of all the lawyers who were involved in the torture program. There’s the increasing amounts of official leaking — up to and including CIA cooperating with Zero Dark Thirty to celebrate the work of Michael D’Andrea — all while still pretending that D’Andrea was still under cover. Can we at least agree that if CIA has decided a Hollywood propagandistic version of D’Andrea’s is not classified, then newspapers can treat his actual career as such? Can we at least agree that as soon as CIA has invited Hollywood into Langley to lionize people, the purportedly classified identities of those people — and the actual facts of their career — will no longer be granted deference? And then, finally, there’s CIA’s (and the Intelligence Community generally) serial lying. When Bob Litt’s boss makes egregious lies to Congress to cover up for the even more egregious lies Keith Alexander offered up when he played dress-up hacker at DefCon, and when Bob Litt continues to insist that James Clapper was not lying when everyone knows he was lying, then Litt’s judgement about who “disgraced” themselves or not loses sway. All the so-called norms Goldsmith nostalgically presents without examination rest on a kind of legitimacy that must be earned. The Executive has squandered that legitimacy, and with it any trust for its claims about the necessity of the secrets it keeps. Goldsmith and Litt are asking people to participate with them in a kind of propagandistic dance, sustaining assertions as “true” when they aren’t. That’s the habit of a corrupt regime. They’d do well to reflect on what kind of sickness they’re actually asking people to embrace before they start accusing others of disgraceful behavior. Over four years ago, I wrote a post noting how, in the two days after Jose Rodriguez and one of his Counterterrorism Lawyers briefed Nancy Pelosi and Porter Goss in September 2002 they might use torture prospectively, they 1) moved closer to deciding to destroy the torture tapes and 2) altered their initial record of the briefing to take out one sentence. The Torture Report backs my analysis (though doesn’t include the details about the torture tapes or that both Pelosi and Goss said they had been briefed the torture would be used prospectively; see here for backing of the claim this was a prospective briefing). But it adds one more detail. The sentence Jose Rodriguez and his lawyer eliminated — the day after folks at CIA discussed destroying the torture tapes showing they had already used this torture — recorded that one or both of Pelosi and Goss noted that these techniques would be illegal in another country. At least one of these members of Congress (or their staffers) got briefed on torture and said the torture would be illegal if other countries used it, according to CIA’s own records. So CTC’s lawyer eliminated that comment from the CIA’s record, with Jose Rodriguez’ gleeful approval. And yet he says Congress approved of these techniques from the start. With even the New York Times editorial page chiming in on Thursday (just after the Abramson firing on Wednesday, so this is clearly a big deal to them), Judge Gladys Kessler ruled on Friday that the military must stop its forced feedings of a Syrian prisoner at Guantanamo and preserve videos of him being forcibly extracted from his cell and being fed. We’ve seen this movie before. Recall that Kessler was one of at least two judges ordering the CIA to preserve video evidence of waterboarding before Robert Eatinger and Jose Rodriguez decided to go ahead with destruction of the videotapes. Considering how out of control John Bogdan, head of the Joint Task Force Guantanamo Detention Group, already has been, it would not surprise me at all for these videos to meet the same fate. Heck, given Eatinger’s current behavior in trying to use intimidation to stop further revelations on the torture front, it wouldn’t even surprise me for him to decide, through some sort of OCA role, that it is the CIA’s job to take possession of and to destroy the tapes in question. A federal judge waded deep into the Pentagon’s handling of the Guantánamo hunger strike on Friday, ordering the military to temporarily suspend forced-feedings of a Syrian prisoner at the detention center until a hearing Wednesday. U.S. District Court Judge Gladys Kessler in Washington, D.C., also ordered the military to preserve any video recordings guards might have made hauling Syrian Mohammed Abu Wa’el Dhiab, 42, from his cell and giving him nasogastric feedings in a restraint chair. He has also been identified as Jihad Dhiab in court papers and news reports. The order appears to be the deepest intrusion into prison camp operations by the federal court during the long-running hunger strike, which at one point last year encompassed more than 100 of Guantánamo’s 154 detainees. The military has since December refused to disclose how many detainees are force-fed as hunger strikers each day, and it was not possible to know if Navy doctors at the base considered Dhiab at risk by perhaps missing four or five days of tube feedings. Military spokesmen from Guantánamo and the U.S. Southern Command did not respond Friday night to questions from the Miami Herald on whether the 2,200-strong military and civilian staff at the detention center had received and would honor the order. Aspiring Senate Intelligence Chair Richard Burr has announced he will vote to declassify the Torture Report. Sen. Richard Burr, R-N.C., also said he planned to vote to declassify. Declassifying, he said, is “the only way that we get minority views out there,” because the Republicans plan to offer their views on the report. This gives a pretty strong indication of where this Torture Report debate will go — and why CIA got so quiet all of a sudden, aside from former CIA lawyer John Rizzo’s tireless propaganda efforts. The Committee would have published dissenting views in any case, but Republican Susan Collins specifically included them in her support for the report. What we’re going to get will be the Executive Summary, Findings, and Additional and Dissenting Views. Because we’ll get just the Executive Summary, we won’t get much hard detail — aside from that which has been public for years — about the allegations that will appear in the Executive Summary, which will make it harder to rebut any claims CIA’s defenders make. Moreover, I would not be in the least surprised if the same rule that applies to CIA Publication Review Board decisions — that the writings of torture critics like Ali Soufan and Glenn Carle are aggressively censored, while the views of torture boosters like Rizzo and Jose Rodriguez will be permissively published — applied here. The CIA has — as McClatchy emphasizes — already assumed they’ll do the declassification review. And in spite of calls for the White House to take the lead, I expect they won’t. After all, the White House has relied on CIA to hide the Executive Privilege-lite documents (which I suspect would show that CIA only lied to some people at the White House, but not to people like David Addington). So CIA is owed something by the White House. 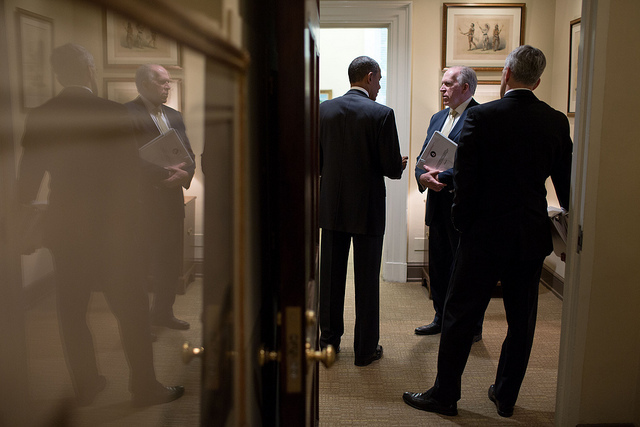 That mutual embrace of incrimination will provide the CIA a great deal of protection. Remember, too, that torture critics have gotten recent warnings not to speak publicly, even while Rodriguez and Rizzo blather away. And all this — what will surely be calls that Democrats have unfairly tainted noble Jose Rodriguez’ reputation — will play out against electoral politics, as Republicans try to take out Mark Udall for his opposition to torture. Thus far, too, the torture boosters have laid the groundwork to win this debate. 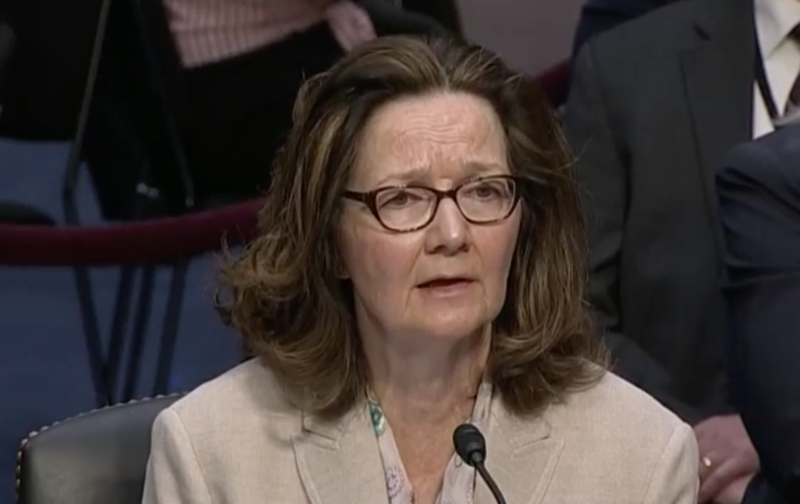 Even ignoring Rizzo and Rodriguez’ books, they’ve been working the press with details, as compared to the vague releases that the Torture Report will find CIA lied. Which is my pessimistic way of saying that unless torture critics get a lot more serious about the propaganda onslaught the Republicans plan to launch to defend torture, this Torture Report release may not do all that much good at all. Torture critics largely lost this debate in 2009, and they’ll actually have less new information with which to fight this if CIA gets its way on declassification.